The makers of the film “Sweet Home Alabama” chose Taliaferro County as the backdrop for the movie but sometimes trouble can strike even in paradise. 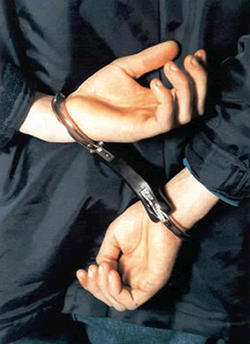 You don’t have any time to waste after you hear that a loved one has been arrested. You need to assist your loved one right away, and you can do so by contacting our trusted team of Taliaferro county bail bondsmen at Anytime Bail Bonding, Inc.. Call us any time at (770)339-9000, or drop by our office at 771 Buford Drive in Lawrenceville, Georgia. We are the Taliaferro County bail bonds that you desperately need, so give us a call. If your loved one is not determined to be a flight risk, he will need bail bonds in Taliaferro County GA. The judge will set the amount for your loved one’s bail, and if you decide that you are going to help him, you will only need to pay between 10 and 15 percent of the bail amount. Sometimes, 10 to 15 percent of the bail amount is too much for people, and that is one reason that bail bonds exist. The bail bonds process in Taliaferro County begins after you contact us. We will contact the court and find out your loved one’s bail amount. Then, we will only charge you a fee that is between 12 and 15 percent of the amount that is owed to the court. The fee allows us to release your loved one from jail. For example, if the bail amount is equal to $10,000, your fee will only be between $1,200 and $1,500. Our Taliaferro County bail bondsman has a very important job. It will then be our responsibility that your loved one arrives at all their court hearings at their appointed time. If your loved one ends up running away, we will have the right to send a bounty hunter after them so that they can be brought back for their hearing. Your loved one will not be granted bail after they run away, so it is in everybody’s best interests that this does not happen. Our Taliaferro County bail bonds company requires that you offer some form of collateral so that the bail bonds process can move forward. This collateral may be a house, car or jewelry, and it will not be taken by our company if your loved one presents themselves at their hearing. After our bail bondsmen in Taliaferro County arrange to pay your loved one’s bail, the jail will begin the process of releasing them. It may take as little as 45 minutes, but sometimes, it can take as long as 24 hours. So call us today at (770)339-9000 because when it comes to your freedom you can count on us anytime.